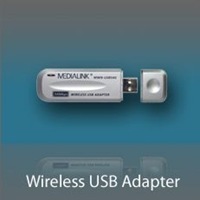 The MWN-USB150N (Ralink RT2870 series USB Wireless LAN Card) complies with 802.11n (Draft 2.0), 802.11g, and 802.11b standards. This adapter meets the most state of the art speed and coverage standards available. Wireless transmission rates can reach up to 300Mbps. Employing MIMO technology, the MWN-USB300N has two internal Intelligent Antennas providing the ultimate in wireless performance, transmission rates and stability. Employs background features that automatically avoid channel conflicts.